"Given the mood within the government workforce and the country at large, it would be wise for the government to abandon its bully tactics and take the demands of the workers seriously to avoid situations that could bring chaos into the country. 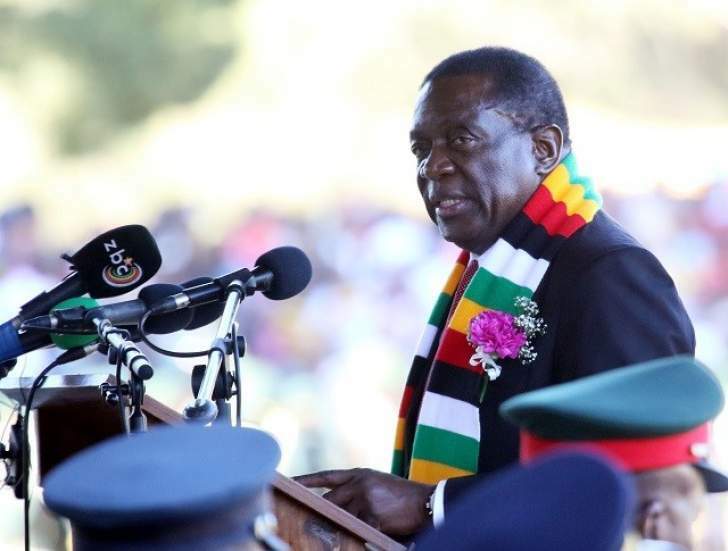 Threats and other forms of intimidation, as seen coming from some sections of the Zanu-PF party, are misguided and unhelpful to the government," the Standard advised. "Demands for living wages and a national outcry over deteriorating conditions of life in the country are not a crime and do not need political instigation. The people are not blind to the fact that their conditions of living are falling by the day and they do not need alleged regime change agents to tell them that. "Mnangagwa needs to take charge and make bold decisions including dealing with the currency crisis to take Zimbabweans out of this misery." This advice makes as much sense as advising the farmer to bolt the stable door when the proverbial horse has already bolted! Yes, the worsening economic meltdown is causing serious suffering and deaths amongst the millions now living in abject poverty. The people do not need Nelson Chamisa or anyone else to tell them they are suffering and dying unnecessarily. Yes, the economic situation in Zimbabwe is so bad there is a real danger of country descending into social and political unrest and chaos. But here is the crux of the matter; whilst there were many things Mnangagwa could and should have done to revive the country's comatose economy after taking over in the November 2017 coup. The tragic reality is he has done very little and, worse still, he has done many bad things too. He had his many golden opportunities to save Zimbabwe and he has wasted them all. Mnangagwa started well with his "Zimbabwe is open for business!" call. After decades of the usual anti-business rhetoric and laws from Mugabe, here was a Zanu PF leader keen to create a friendly economic environment to attract local and foreign investors. Great! But given that Mnangagwa had been Mugabe's right-hand man for donkey years, it is not surprising that the investors held back to see if Mnangagwa was the democrat he claimed to be. The acid test was whether Mnangagwa would keep his promise to end corruption and hold free, fair and credible elections. In 2016 Mugabe admitted that nation was "swindled" of $15 billion in diamond revenue. He never arrested even one swindler or recovered one dollar. A year after the admission, the then Minister of Finance, Patrick Chinamasa, told parliament that government was receiving 1/6 of the expected tax revenue from the diamond mining, thus confirming the looting was still taking place. "There will be zero tolerance on corruption!" Mnangagwa promised when he took over in November 2017. It is now over a year and still not even one diamond swindler has ever been arrested and not one dollar of the looted billions recovered. The wholesale looting is still taking place to this day! When it came to holding free and fair elections it was clear from the word go that Mnangagwa had no intention of honouring this promise. He contemptuously dismissed those calling for the implementation of the democratic reforms necessary for free, fair and credible as barking dogs. "Zanu PF ichatonga! Igotonga! Imi muchingohukura! Nokuhukura!" (Zanu PF will rule! And rule! Whilst you (calling for reforms) bark! And bark!) Mnangagwa boasted on many occasions. This is music to the ears of his Zanu PF coup plotters and hardliners. The November 2017 coup plotters called it "Operation Restore Legacy!" The coup's primary objective was to wrestle power from Mugabe, because he wanted to give it to his wife and her G40 faction, and give it back to Mnangagwa and the other coup plotters. Mnangagwa and the other coup plotters are members of the Joint Operation Command, the shadowy Junta that has ruled the country for decades. Mnangagwa and company had risked everything, their looted wealth and even their lives, in staging the coup against Mugabe to secure power. They were not going to risk losing it eight months latter in a free, fair and credible elections; especially when it was within their power and past experience to rig the elections. So rigging the 30 July 2018 elections was to Mnangagwa and company, phase two of the Operation Restore Legacy. However, by blatantly rigging the elections Mnangagwa confirmed that Zimbabwe was still a pariah state ruled by corrupt and vote rigging thugs. He could not have done more to scar away local and foreign investors he had been wooing with his "Zimbabwe is open for business!" call. It is all very well for the Standard to advise Mnangagwa "to take charge and make bold decisions including dealing with the currency crisis". Blaming the Bond Notes currency for the nation's economic problems is silly. The strength and stability of the nation's currency is a measure of the strength and stability of the nation's economy. What "bold decisions" can Mnangagwa make now that will change the political reality that Zimbabwe is a pariah state. And as long as Zimbabwe remains a pariah state there is no hope of any meaningful economic recovery. It is for us, ordinary Zimbabweans, to make our bold move. We must demand the full restoration of our freedoms and basic human rights including the right to a meaningful say in the governance of the country. We must demand that only those with the people democratic mandate to govern Zimbabwe will govern the country. And since Zanu PF rigged the recent elections, the party is illegitimate and must step down. We all know the root cause of Zimbabwe's economic meltdown and political paralysis is the de facto Zanu PF one-party dictatorship. We must now take the bold steps to end this curse of rigged elections and pariah state before Zanu PF drags the whole nation into the abyss.